As a country rich in diversity and history, the Philippines has some of the most amazing and breathtaking statues ever built. To name a few, there is the Rizal Monument and the Lapu-Lapu Shrine. Photo Credit: Joe Coyle via Flickr. 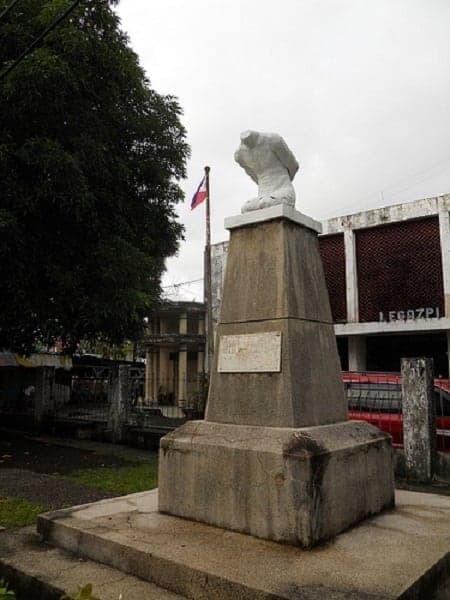 Situated in front of Legazpi City’s post office building, this headless statue is supposed to be a tribute to Bicolanos who fought for the country during World War II. 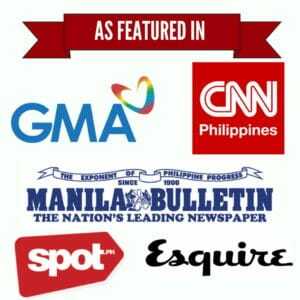 The statue’s backstory can be traced to laborers who found a headless man’s body wearing a soldier’s uniform in the city’s port in Barangay Sabang shortly after the war ended. The area reputedly once served as an execution site for the Japanese. Through the research and efforts of Spanish philanthropist Don Buenaventura de Erquiaga, a monument was built in the area while the man’s remains were given a proper burial. After the Spaniard’s death in 1959 and his family’s return to his home country, all relevant documents and photos pertaining to the unknown soldier were lost. Only the statue remained and was later transferred to its present site. 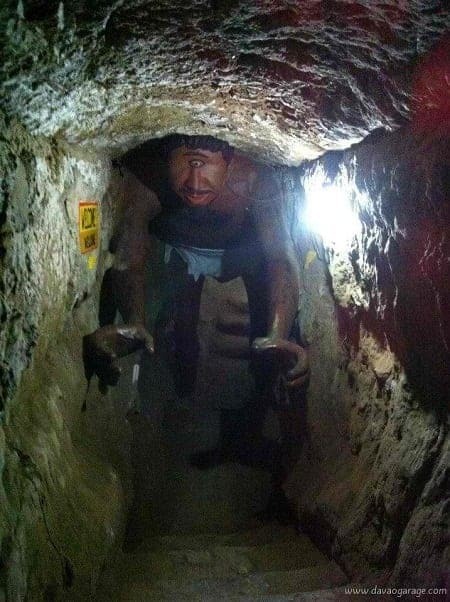 The statue is located in a World-War-II-era tunnel in the resort. As to why the statue was built there, rumors abound that one-eyed skulls were found near that area. Known as Sto. 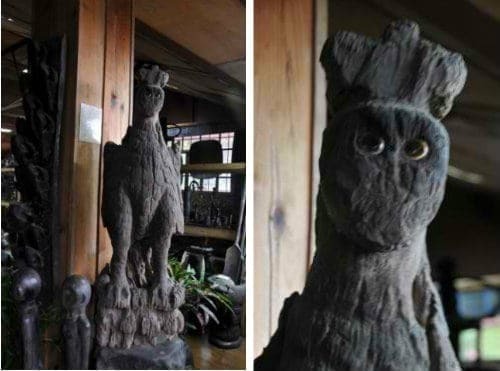 Kulago of Guiuan, Eastern Samar, this bizarre owl statue represents the religious syncretism between the Christianity and the indigenous beliefs of the natives. Before the arrival of the Spanish, owls were either venerated as deities or feared as heralds of misfortune. It is assumed that whoever made this combined his animist beliefs together with that of Christianity. Although the sight of the Grim Reaper carrying a scythe and an hourglass may look out of place in a Good Friday procession, the statue actually serves to remind people to prepare well for their own impending mortality. This statue can be seen in Argao, Cebu especially during Semana Santa where it is paraded on the streets. 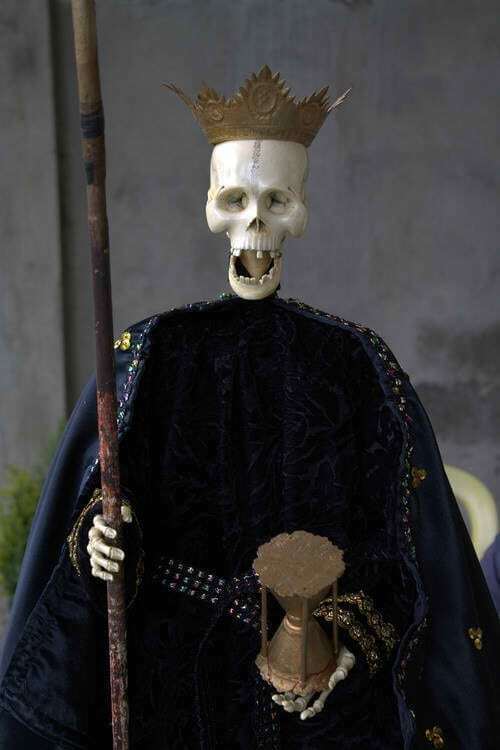 However, local church officials have stressed that it is a mere symbol of death and should be distinguished from the Santa Muerte (St. Death) cults in Mexico and Latin American countries. 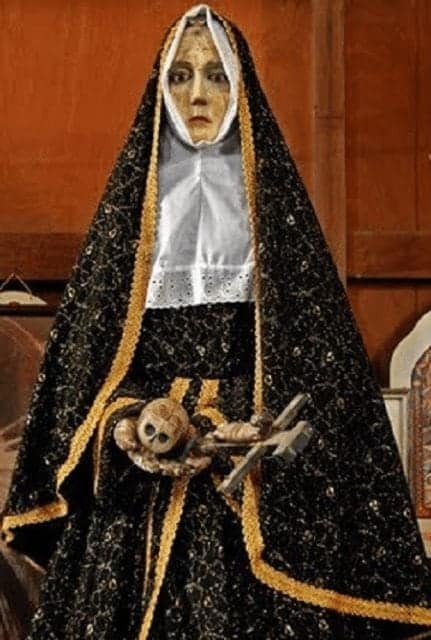 The unnerving skull-and-inverted-crucifix-carrying statue of the patron saint of abused wives can be located in Sta. Maria Church, Siquijor. Also known as Black Magic Mary to tourists and locals, many scary urban legends surround the statute. It is said that the skull the statue carries actually belongs to a real human, specifically that of a man who was beheaded by his wife for reasons unknown. 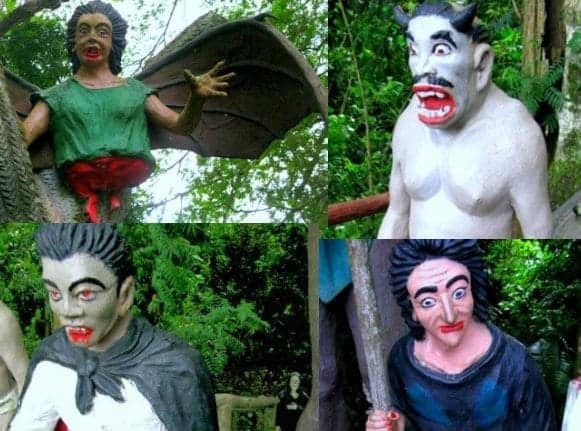 Even creepier is the rumor that the statue is said to walk out after sunset. Built in 1934, this tombstone in Malabon’s municipal cemetery depicting the disturbing scene of the devil triumphing over the archangel Michael came about as the dying wish of one Don Simeon Bernardo. Tortured by the Spanish government on suspicion of being a revolutionary, Bernardo lost his faith and believed that good didn’t exist in the world anymore. He later requested his children to place the sculpture on top of his tomb as a reminder that evil was slowly taking over society. His descendants have stated that they would reverse the statues’ positions only if they feel that good has once again prevailed over the world. 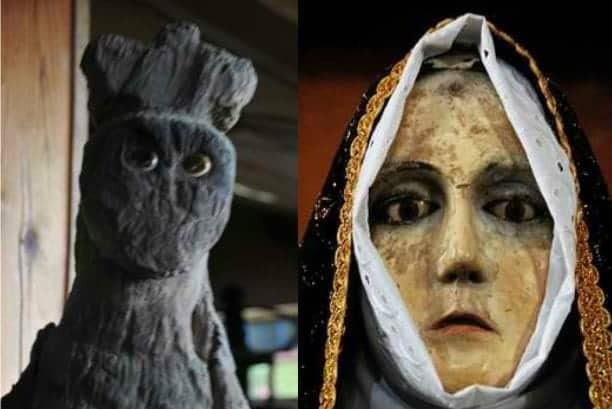 Although tales of statues weeping tears of blood are part and parcel of Filipino religious folklore, none have been as controversial as the statue of the Virgin Mary in Agoo, La Union. 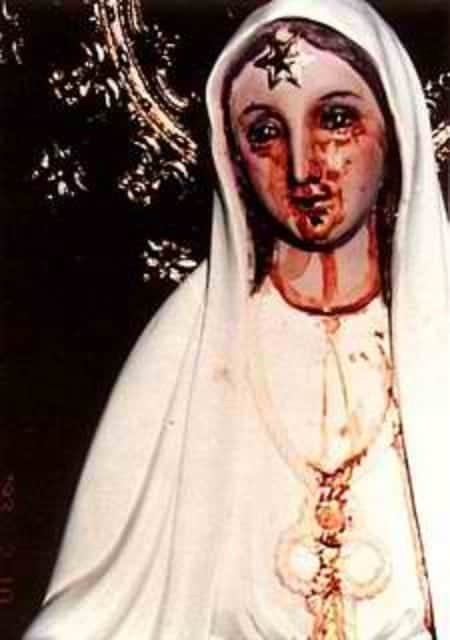 It allegedly started weeping tears of blood on February 1993, prompting countless devotees and curious visitors alike to flock to the site. 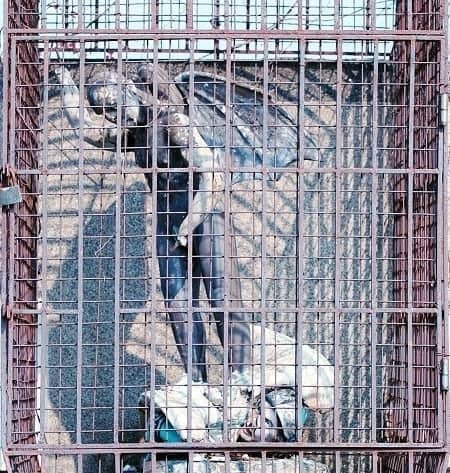 The statue belonged to the family of self-professed boy visionary Judiel Nieva who claimed that the Virgin Mary had been sending him messages and would show herself to them in due time. A day before her scheduled appearance in March, thousands of people reported seeing the sun dance. During the next day’s Mass, the officiating priest swore he saw a shadow of the Virgin Mary above a guava tree. In this same event, the crowd claimed to see brightly-colored lights from different directions. Nieva also read to them the new message he allegedly received from the Virgin Mary, which was to pray for a Somalia wracked with civil war at the time.